I also have a blog called TheBuckheadBlog.com, and for a long time I wrote about green stories on there before starting GreentotheScene.com. 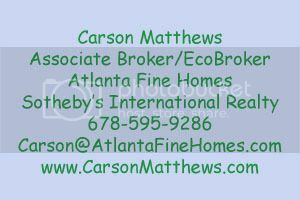 Here are some links to the green stories from www.TheBuckheadBlog.com. The Buckhead Blog: FMLS adds Searchable Green Features! Hi there terrific website! Does running a blog such as this require a lot of work? I’ve no understanding of programming but I was hoping to start my own blog in the near future. Anyways, if you have any recommendations or techniques for new blog owners please share. I know this is off topic but I simply wanted to ask. Thank you!